Jaysus Alex, your orc-fu is getting impressive, you’ll get a massive thumb up from Kev this summer ! Awesome job on this project so far. Aw, thanks dude, glad you’re enjoying the ride! Would be great if Kev makes BOYL next year – validation from the Goblin Master himself would be a sweet reward indeed! How do find working with brown stuff? What the difference compared to Green Stuff? Proper tools makes a world of difference too. Those teknishuns are looking great, loving all the characterful faces you’ve used. Was going to ask the same question as Thomas regarding brown stuff, I’ve never used it before either but judging by the results you’re producing it may be something I need to explore soon. They look superb. I like what you have done with the paint job too. This will be the definitive “Wolf Time: project I reckon. All looking good, teknishuns and the hevvees! Nice colour scheme on the teks and I’m impressed with the sculpting! Those are waaaghtastic minis! 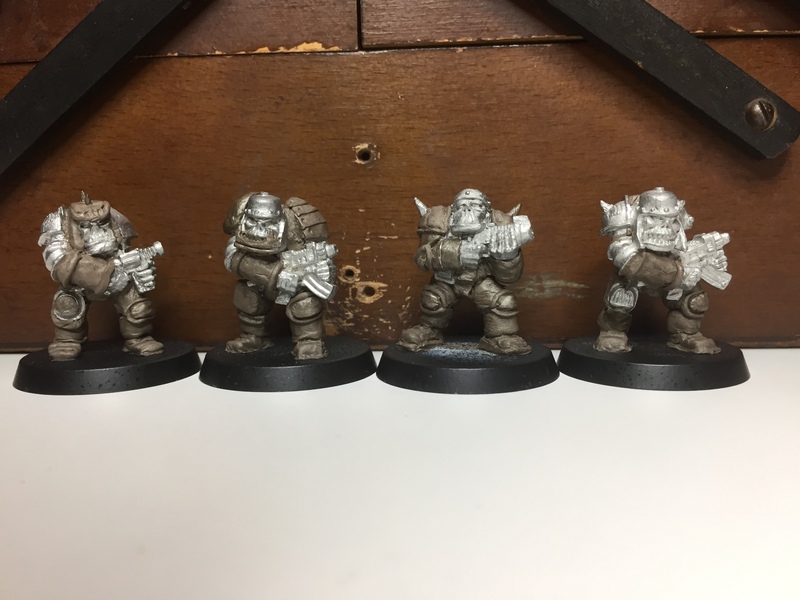 Both the teks paintjob and the sculpting work on the new squad! Terrific work! Brilliant mate. The grey looks good. Why was brown stuff better? Wow, impressive sculpting AND painting. Brown stuff? Is that the brown milliput? The Tek Boyz look really good. The grey works really well for them thematically. I’m really liking how the Power Armoured Boyz are shaping up as well. Really nice sculpting there that fits in well with the aesthetic of the original models. 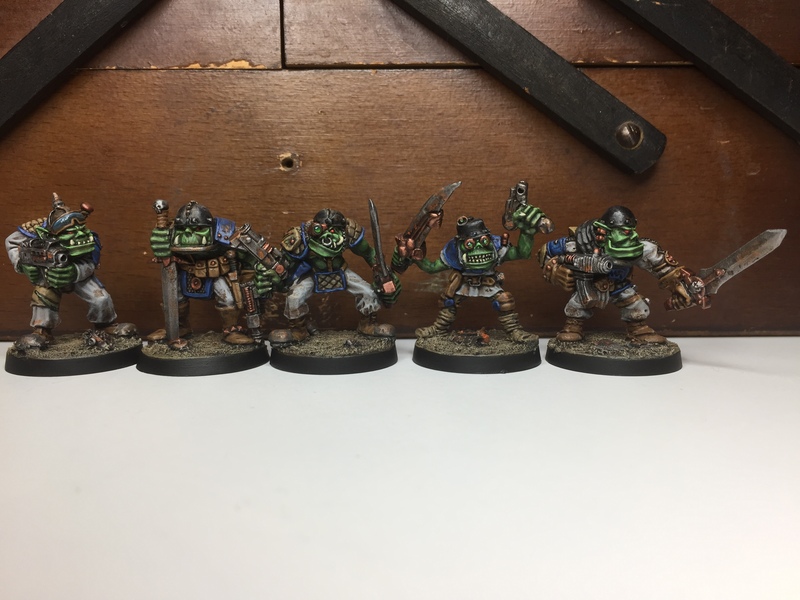 Well, they’ll be bloody impressive if they look only half as good as Thrugg!